I think the “practical=tool” clarification helps, but ultimately does not rescue Stallman’s argument. To me, at least, it embraces a Romantic and Early Modern view of art. And it’s a view I’ve found quite interesting — I have always thought, for example, that Jakobson’s “Poetic Function”, which defines art as essentially as a message that turns in on itself — that is, as a message that does not direct itself toward externalities — that analysis is one of the genius moments in 20th century intellectual history. I read the lines “the projection of the principle of equivalence from the axis of selection to the axis of combination”, his definition of the Poetic, and I’m still stunned at how many threads of modern thought come together in that beautifully simple but stunningly creative insight. So I’m more than interested in attempts to define Art and aesthetic thinking as something in space apart from the prectical and directed. And tellingly, the other name for the Jakobson’s Poetic function it the “autotelic” — that which is an end in itself — and this jives nicely with Stallman’s distinction. That’s not coincidental, since Stallman and Jakobson are pulling from the same Art for Art’s Sake influences, but it’s significant. Yet even in 1961, Jakobson saw this as a *function* — that is, there is no such thing as poetry in a sense — there’s a poetic element in everything. And the things we call poetry and art are traditionally things which are constructed to highlight the relation of the message to itself. But while the function has clear abstract boundaries, the artifacts that function illuminates do not. And we now have about 40 years of post-structuralist theory showing us that is indeed the case. So back to the point — to the average person, I suppose, art is not a tool — because they enjoy it as readers. They revel in the autotelic. But to the artist, new art is always demonstrating ways to solve their own artistic problems. It’s no different in some ways than physical invention. Camera obscura, a tool, had a profound effect on Rennaisance Art — but so did Giotto’s realism. To the artist, and even to the astute viewer, art is always a set of tools, characters, plot devices and the like that they can rip out and use. What was an output of Da Vinci’s artistic process becomes an input into Giampetrino’s own. 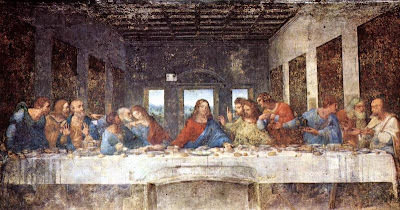 It’s not the world’s most original work, but as long as correct attribution is made, why shouldn’t Giampetrino use Da Vinci’s work to develop his own style? Similarly, many of my wife’s friends use photos taken by someone else to make paintings from. To the photographer, the photograph may be meant to be autotelic, but to the painter who uses it, it is another tool in completing their own ends. Likewise, the painting one creates from the photograph could end up as a piece of website layout, or the background of a WordPress theme. There’s a solution to this, but Stallman can’t use it. The solution is to say that the photographer gets to decide whether his photographs are meant to be tools for graphic designers and artists (in which case he gives up his freedom) or art (in which case he preserves his rights). But that rests the division in the intentionality of the producer, not in any attribute of the object. And if we vest that distinction in intentionality, we might as well all go home — to say that the producer should determine how his own work should be used is to say that the concept of Free Software is dead. I choose to see my code as my personal self-expression, therefore you can’t copy it. That’s where we were *before* Stallman’s innovative movement, and I have no intention of going back. I don’t mean to minimize the massive problems in Art here, with everything from compensation to attribution. It’s not an easy subject — it’s far more difficult than coming to terms with whether printer drivers should be free and open. And I’m guessing that’s why Stallman wants to wall it off from his more core concerns.